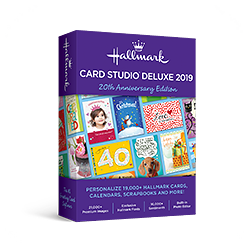 The fast, easy and fun way to create unique Hallmark cards for any occasion. 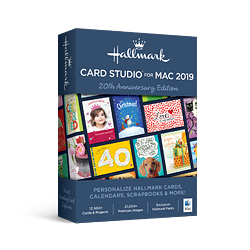 Create beautiful custom greeting cards for friends & family using your Mac. 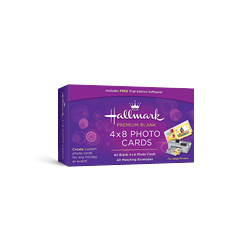 Print your Hallmark Card Studio greeting cards with style on Hallmark-quality greeting card paper! 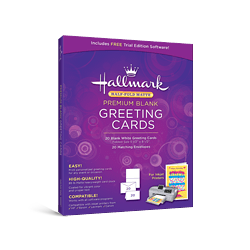 Includes 20 blank greeting cards and matching envelopes. 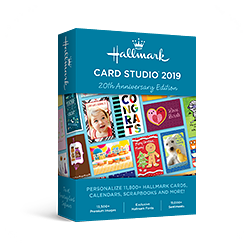 The fast, easy and fun way to create unique Hallmark cards for any occasion. Includes an advanced digital photo editor!